In a competitive market place it’s important to keep pace with challenging consumer needs. Selecting the right manufacturing system is vital to give you the production capacity and flexibility you need. Download our free guide to help. 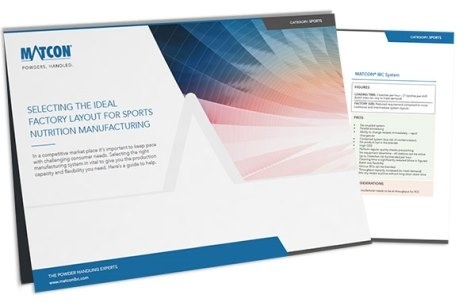 In this guide we explore three different factory layouts for typical Sports Nutrition Manufacturers, the configurations and the pros and cons for each layout. Using this document you will be able to determine which is the best fit for your factory and meets your output goals.